Going into the final night of the 2013 live racing meet at Harrington Raceway, drivers Ross Wolfenden, George Dennis and Allan Davis were separated by just two wins in the race for the driving championship. 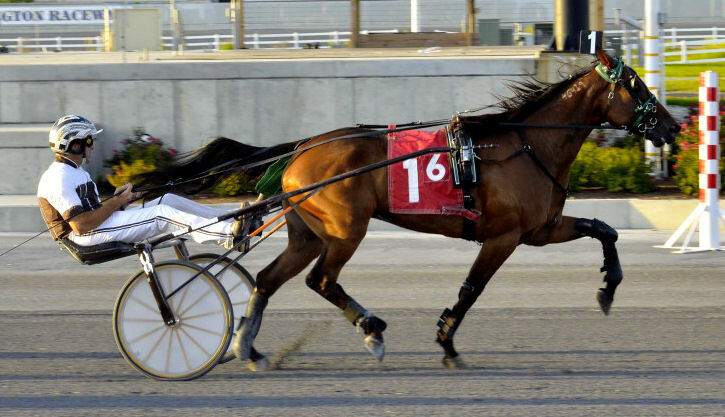 Two Delaware Standardbred Breeders Fund (DSBF) $100,000 finals for 2-year-old trotters were contested on the penultimate 2013 program at Harrington Raceway Wednesday. Meanwhile, three drivers are nearly deadlocked in the race for the 2013 driving title. Karen Walls’ Elite Awards ($2.40, George Dennis) completed a sweep of the Delaware Standardbred Breeders Fund (DSBF) events at Harrington Raceway by winning the $100,000 Final Tuesday in 1:55. George and Tina Dennis’ and The Wiz Kids Stable’s I’m Won Rum Wiser ($4.40, George Dennis) improved to 4-for-4 in her young career with a win in the Delaware Standardbred Breeders Fund (DSBF) $100,000 Final for 2-year pacing fillies Monday at Harrington Raceway in 1:57.1. 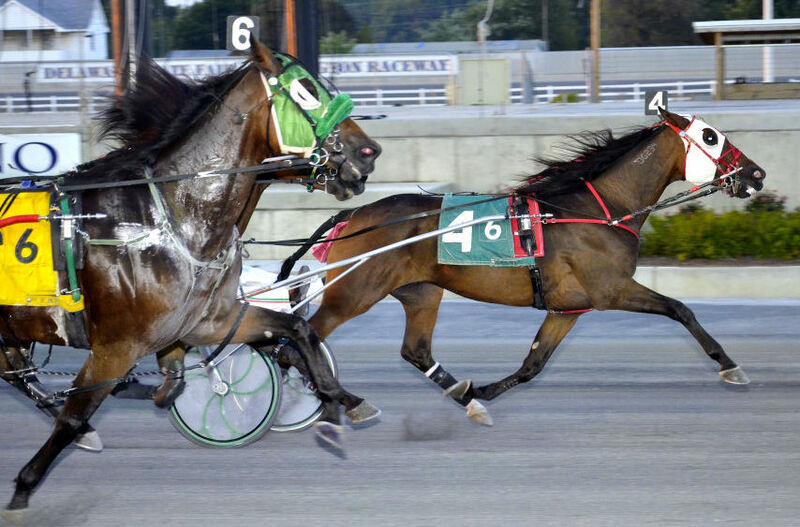 The second leg of the Delaware Standardbred Breeders Fund (DSBF) stakes for 2-year-old trotters was contested with five divisions Wednesday at Harrington Raceway. Three $20,000 divisional eliminations of the Delaware Standardbred Breeders Fund (DSBF) stakes for 2-year-old pacing colts went postward on the 15-race Harrington Raceway program Tuesday. The final division featured a showdown between Delaware 2-year-old colt and gelding pacing heavyweights Hawker and Elite Awards. Three $20,000 divisions of the Delaware Standardbred Breeders Fund (DSBF) stakes for 2-year-old pacing fillies were contested Monday at Harrington Raceway. Five $20,000 Delaware Standardbred Breeders Fund (DSBF) divisions for 2-year-old trotters were contested on the Wednesday Harrington Raceway program. Elite Awards ($2.40, George Dennis), owned by Karen Walls, was the fastest of three DSBF $20,000 2-year-old pacing colt divisions Tuesday. This year’s Bobby Quillen Memorial at Harrington Raceway was one that will not be soon forgotten. Two pacing heavyweights, Clear Vision and Foiled Again dueled throughout the stretch with Clear Vision prevailing narrowly at the wire, equaling his track record of 1:49.2 in the 7th annual $223,500 Bobby Quillen Memorial. Chris Giaccio and Victor Kirby’s Can Do ($8.80, Kirby) notched his third straight win Wednesday in the $19,000 Open Trot at Harrington Raceway. Two divisions of eliminations were held in the 7th Annual Bobby Quillen Memorial at Harrington Raceway Monday. The fastest of the two splits went to Burke Racing, Weaver Bruscemi, Panhellenic Stable and James Koran’s Clear Vision ($3.60, Brett Miller), who took the second division in a track record equaling time of 1:49.2. 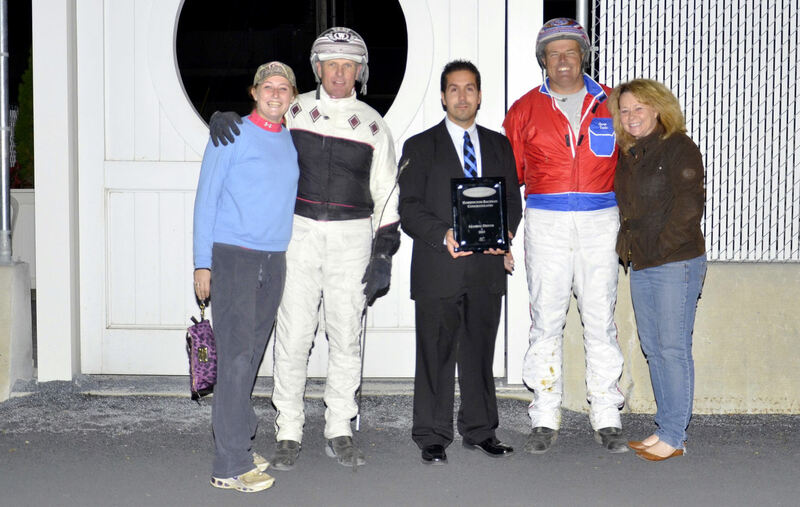 Eleven of the sport's top pacers entered the 7th Annual Bobby Quillen Memorial at Harrington Raceway on September 9. Two divisions of eliminations will be contested as the 7th and 9th races on the program. 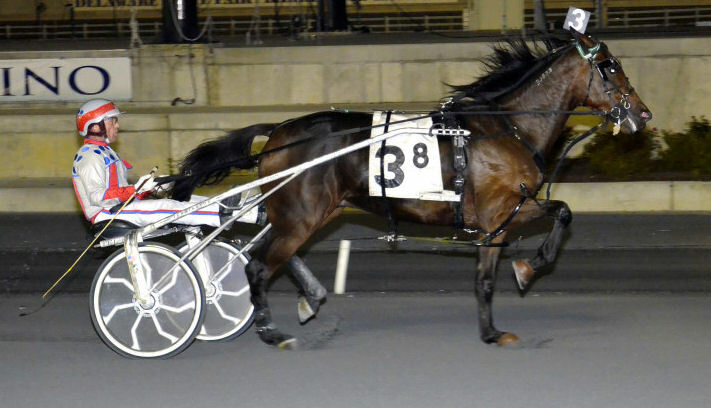 Dandee Racing Stable and Lightning 5 Racing Stable's Mojo Terror ($2.40, Eric Carlson) bested an abbreviated field of four in Monday's $19,000 Open Pace at Harrington Raceway. 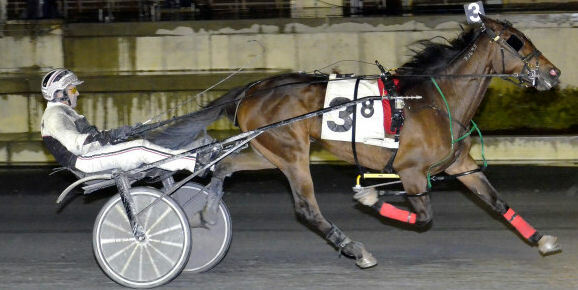 Regis The Horse earned his second straight victory in front of a national audience at Harrington Raceway Thursday with a 1:56.4 triumph. Keith Pippi's Traverse Seelster ($3.40, Ross Wolfenden) defended his turf as Harrington Raceway's track record holder Wednesday with a 1:55.2 win in the featured $19,000 Open Trot over sloppy conditions. Named after long time TV personality Regis Philbin, Regis The Horse will make his second start in front of millions of viewers Thursday at Harrington Raceway as the race will air live on Fox Sports 1’s “Crowd Goes Wild,” an hour-long show that airs Monday through Friday featuring a vibrant and contemporary look at the latest buzz in the world of sports. 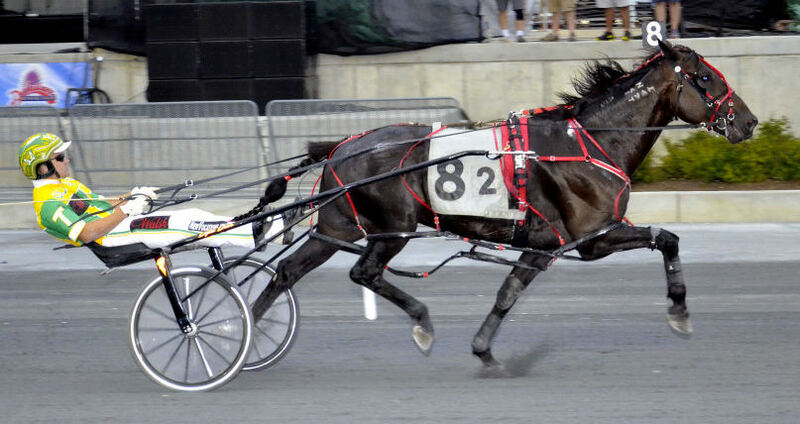 Lorrie Please ($3.40, George Dennis) earned her ninth win of the season with a 1:53.2 triumph in the featured $19,000 Mares Open Tuesday at Harrington Raceway. 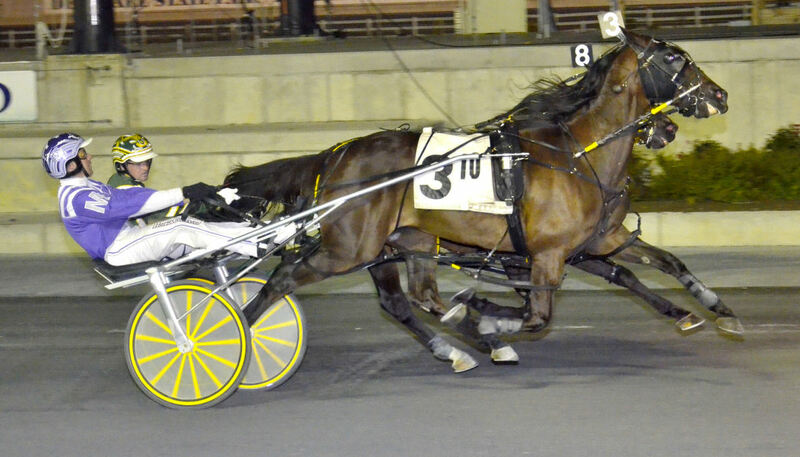 Mojo Terror sprung a mild upset in Monday's featured Open Pace over Dancin Yankee with a 1:51.1 score. 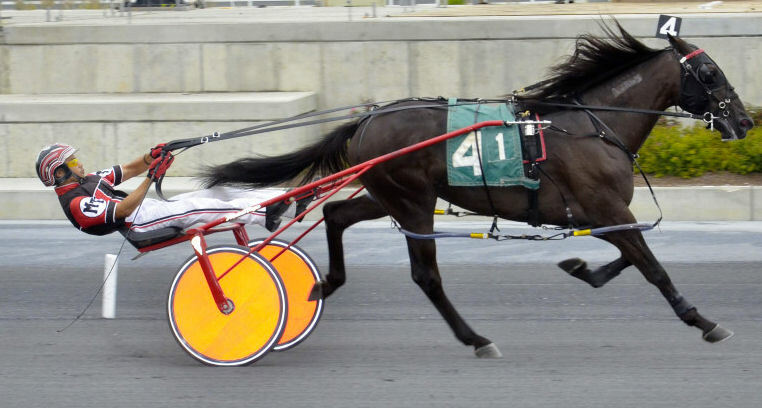 Rev Trust of Barbara Boese’s Awsome Valley ($2.40, Tony Morgan) earned his third straight win Wednesday at Harrington Raceway with a 1:55.2 triumph in the featured $19,000 Open Trot. 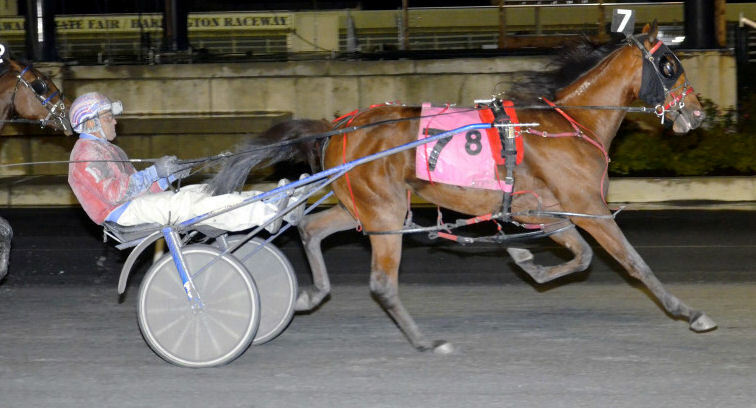 George Teague Jr. Inc.'s Regis The Horse ($3.20, Montrell Teague) performed admirably in front of a national audience that includes his namesake in his maiden win Monday at Harrington Raceway in 1:56.4. 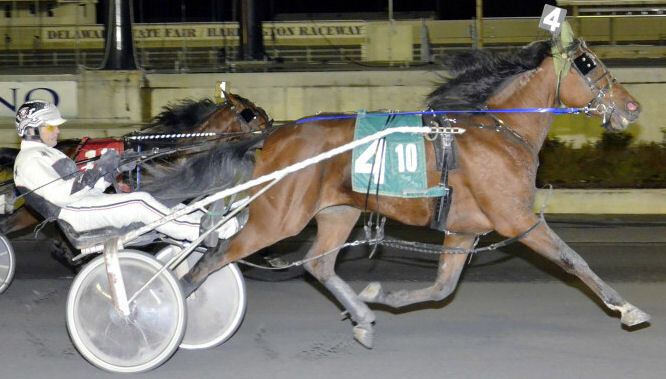 On an abbreviated program at Harrington Raceway Wednesday, driver Victor Kirby captured a third of the races with three driving winners. With only 9 races carded, Kirby notched wins in the fourth race with Manchine ($10), sixth with Make Magic ($2.10) and eighth with Josh’s Z Tam ($5.80). Barbara Boese's Awsome Valley ($2.20, Tony Morgan) was a well-backed winner in his second straight win in Harrington Raceway's featured $11,200 conditioned trot in 1:56.1. In conjunction with th USTA's strategic wagering program, Harrington Raceway will offer a $10,000 guaranteed pick four pool on races 3-6 tonight, Wednesday August 14. There is a carryover of $3,772 going into tonight's wager. 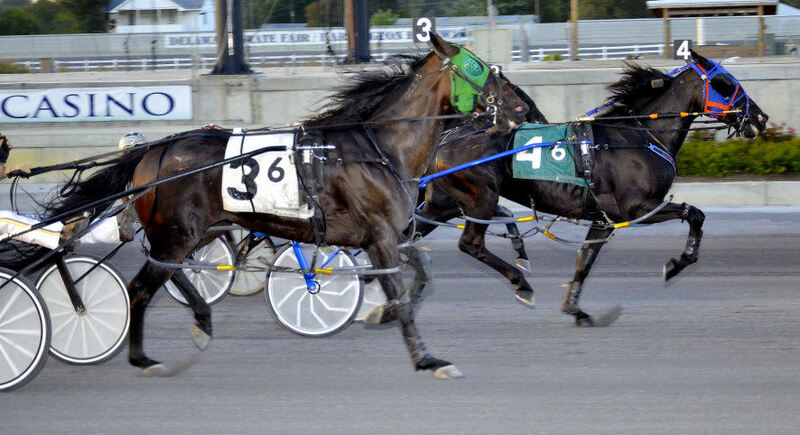 Harrington Raceway’s 67th year of live racing will resume Monday August 12 with a 13-race program. Patrons will be welcomed back with a hat giveaway in the lower grandstand beginning at 5 p.m. (while supplies last). Driver George Dennis maintains a slim lead (82 wins) over Ross Wolfenden (79) in the driver standings. Joe Hundertpfund Jr. (24) sits atop the trainer standings as brothers Wayne Givens (21) and Les Givens (20) are close behind. All of the aforementioned horsemen will be in action on Monday. Live racing will be conducted on a Monday through Thursday schedule through October 24. The track’s signature event, the Bobby Quillen Memorial, will be held September 9 (eliminations) and September 16 (final). Horsemen are reminded that the entry box will close at 1 p.m. for the remainder of the meet. The popular “2-for-1” buffet in the clubhouse dining room will be back on Tuesdays during the meet. For clubhouse dining reservations, please contact 302-398-5920. A reminder to horsemen that the entry box for this week's first three draws (Tuesday through Thursday) will close at 10 a.m. Beginning with the draw on August 12, the normal 1 p.m. box closing time will apply. The first draw is set for Tuesday and entries will be accepted by calling 302-398-5970. To view a condition sheet, click here.